What is AVCutty? 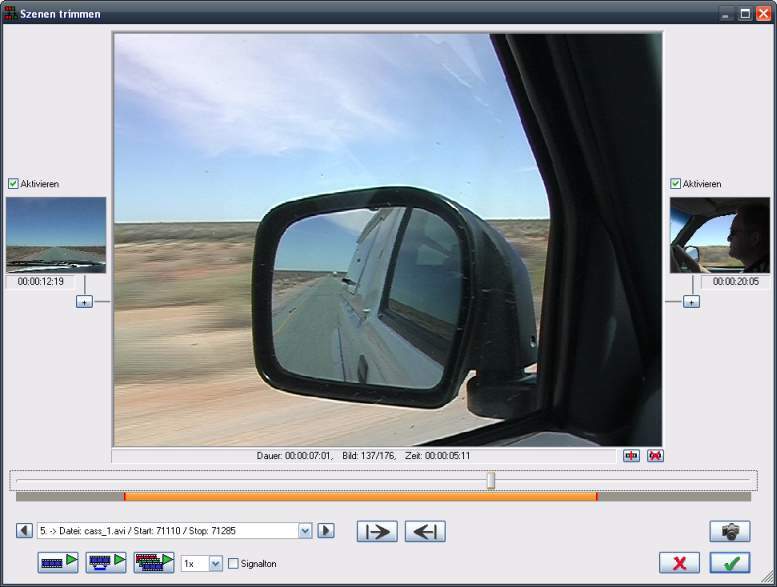 AVCutty is able to capture video material from a DV camera. It saves the videos in AVI files. It also simplifies the splitting of AVI files into the different scenes. It scans the AVI files and detects the scene changes either optically or per DV date stamp. Each scene can be saved into a new AVI file. Because AVCutty does not recompress the video data, the process is lossless. Also it is possible to trim the scenes in a comfortable manner. So, AVCutty is very useful, particularly at the beginning of your video project. Supports different languages (German, English, Dutch, Hungarian).